Especially soft and lightweight interlining for small parts as well as front parts of jackets etc. made of very lightweight to medium weight outer fabrics. 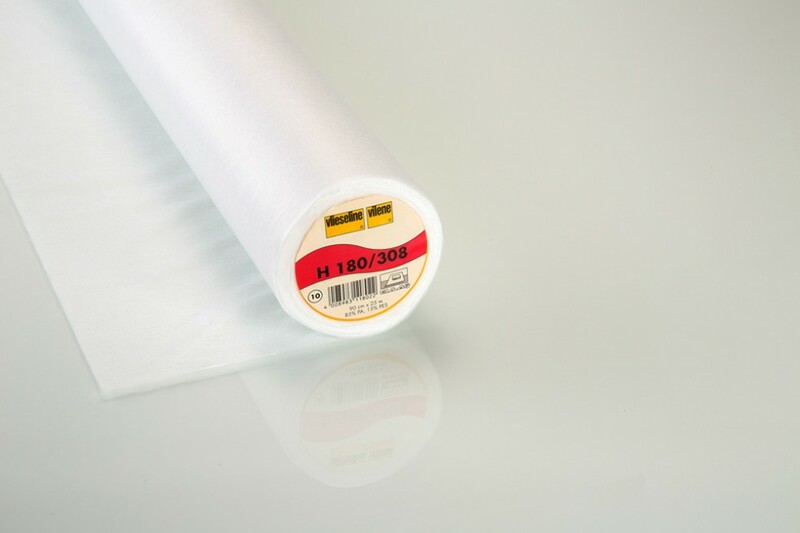 Ideal for soft, flowing fabrics such as silk, viscose, acetate and cupro. Excellent hold on difficult stylish fabrics such as e.g. viscose, acetate and cuprous. Simple to iron on. Comfortable to wear. Strong yet flexible feel. To use, place the interfacing with the coated side on the wrong side of the fabric. Then using dry heat glide the iron firmly 5 6 times very slowly over each area of the insert, so that each area receives approx. 8 seconds of heat. Iron setting: silk wool. low the pieces to cool flat for about 20 minutes, so that the adhesive can set properly. We strongly recommend that you attach a small piece of interfacing to a fabric remnant with your iron first to make sure that the hold and the adhesion meet your expectations.